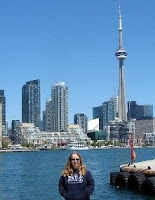 From Goodreads ~ "Tales from Under the Rim" is a behind-the-scenes look at a simple business that became a Canadian icon. 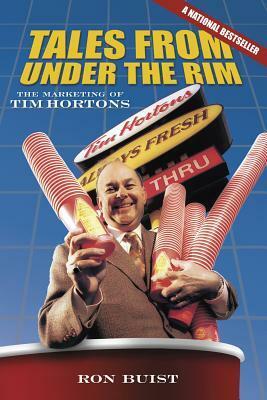 "Tales from Under the Rim" chronicles the rise of Tim Hortons, from its humble beginnings to a national institution. The recipe was simple: it took "one hockey player, one favourite barber shop, one former drummer, and one police officer" plus "the luck hard work brings" to transform a once unknown donut shop into one of Canada's leading franchise operations. In this bestselling business memoir, Ron Buist shows how Tim Hortons became a second home to millions of Canadians. It includes the grass-roots marketing strategy that defined the early years, the Tim Hortons habit of listening to customers, and the whole story of Roll Up the Rim to Win, the no-frills contest that has become a defining feature of Canadian life. Ron Buist spent over 24 years as Director of Marketing at Tim Hortons (he retired in 2001). Tim Hortons was founded in 1964 in Hamilton, Ontario, by Canadian hockey player Tim Horton and Jim Charade (who owned the donut shop next to Horton's barber). Initially the restaurants sold hamburgers and chicken and weren't successful. Ron Joyce bought out Charade's shares in 1966 and assumed control over operations after Horton died in a car crash in 1974. He expanded the chain into a multimillion-dollar franchise, eventually selling it to Burger King's parent company in 2014 for $11.4 billion. I found this book to be interesting for the most part. It provided details on how it came to be and how it's grown to almost 5,000 locations around the world. It also covered how marketing campaigns such as "Roll Up the Rim" and "True Stories" were developed. According to the author, there was very little money and he had to do things creatively. There was carpooling, catching red-eyes to avoid hotel costs, etc. There was also a chapter on how Tim Hortons has given back to the community. The book was originally published 2001 and republished ten years later. There were typos in the version I read (the 2011 version) so I would have thought they would have been picked up and fixed from the original version. I didn't read anything that indicated it had been updated to 2010 ... it stopped in 2001.